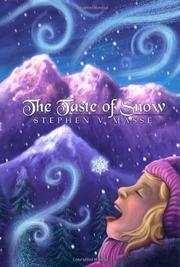 Through trials and small miracles, a young girl gains a true appreciation for the magic of the holiday season in Masse’s children’s novel. When 11-year-old Nicole Kinders receives a “magic candy cane” from a local shopkeeper on her way to school at the beginning of the holiday season, she pockets it gingerly but skeptically. However, immediately following the exchange, strange events occur and Nicole can’t get the idea of “magic” out of her head—during a fight on the school bus, when she goes skiing with her sister and the neighbor boys pelt them with golf balls and when she gets so sick that she’s forced to miss an Advent church service. While she stays home in bed and her family is away, an accidental fire burns part of the house. Luckily she manages to escape, but all the close calls inspire her to return to the shopkeeper and demand he take back the candy cane because it isn’t magic after all. He then helps her realize that although bad things have happened, good things have happened as well; her grandparents, uncle and new aunt have come to visit for the holidays and their presence is a kind of magic, too. But Nicole’s greatest test is yet to come, when she ventures out on the snowy slopes by herself one afternoon and is stranded by nightfall. Will the magic of the candy cane be enough to protect her against the elements? The story’s setting, a small village in the Alpine region of Austria, lends itself fabulously to this story in terms of sensory atmosphere and culture. Masse deftly describes the winter chill and the sights and smells of the holiday, while also weaving inspiring tales that demonstrate a deep appreciation for the triumph of the human spirit in a region where people have suffered hardships in the past century. Nicole grows as a character and readers will root for her as she learns to appreciate the blessings in her life and to confront her problems head on. Masse balances realistic harrowing experiences with festive holiday cheer and the result is a satisfying Christmastime novel. A fresh Christmas story interspersed with joyful, age-old holiday traditions.